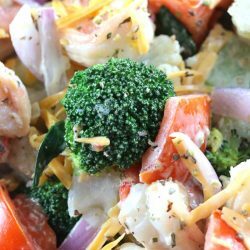 This easy Broccoli and Cauliflower Salad recipe uses everyday ingredients that you can find at home. One thing I love about living in Japan are the amounts of vegetable and rice fields surrounding the neighbourhoods. Because Japan is such a small country, they have to mix the farm land with the city, and so you can have huge buildings and houses and have rice fields and crops just beside. 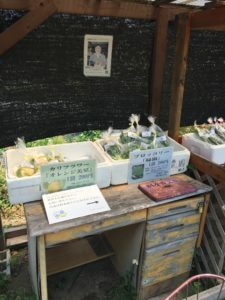 Behind my house there’s this little garden that sells the vegetable they grow and the selection differs every week depending on the season. They were selling some coloured cauliflower, broccoli and zucchini this week so I got some of those. The veggies go for 1-2$. I decided to make a broccoli and cauliflower salad with them! 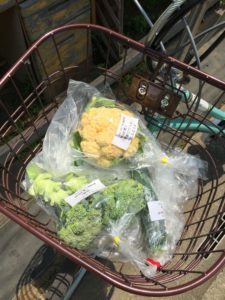 There are numerous gardens where the people sell their home-grown veggies so I always like to bike around my neighbourhood to see what’s available. What’s also really neat is they have a box where you put the money in and then you take the veggies you purchased. No one is at the stall, they just trust you to put the money in and not steal. That’s another thing I love about Japan. Theft isn’t as common like it is back home. I find that most salads that involve mayonnaise always put so much in there, where it really doesn’t need to have that much. I found that few tablespoon of mayonnaise was just enough for this Broccoli and Cauliflower salad along with a few simple spices. I used some of my homemade Paleo Mayonnaise. Oregano, salt and pepper go a long way when it comes to low carb dressings. Mix the mayo with those three spices and you’re set for a variety of salads! 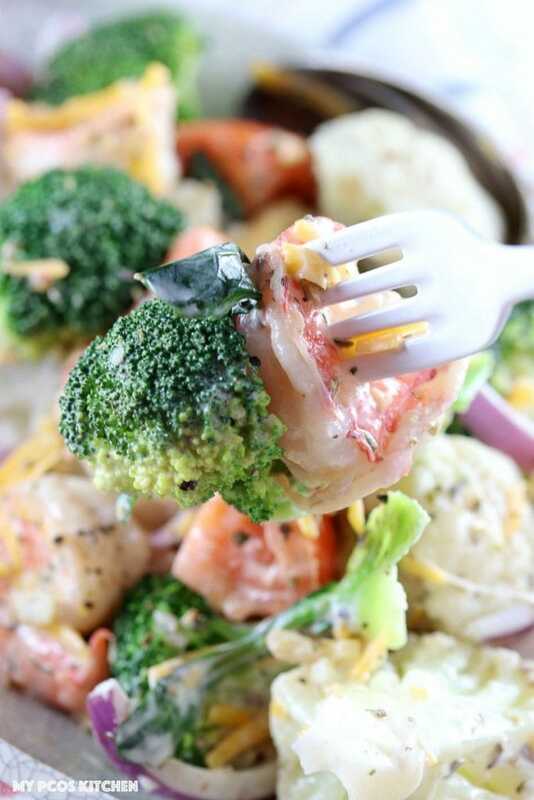 A traditional Amish Broccoli and Cauliflower salad usually uses bacon, but I had some shrimp on hand that I need to use so that’s what I used! 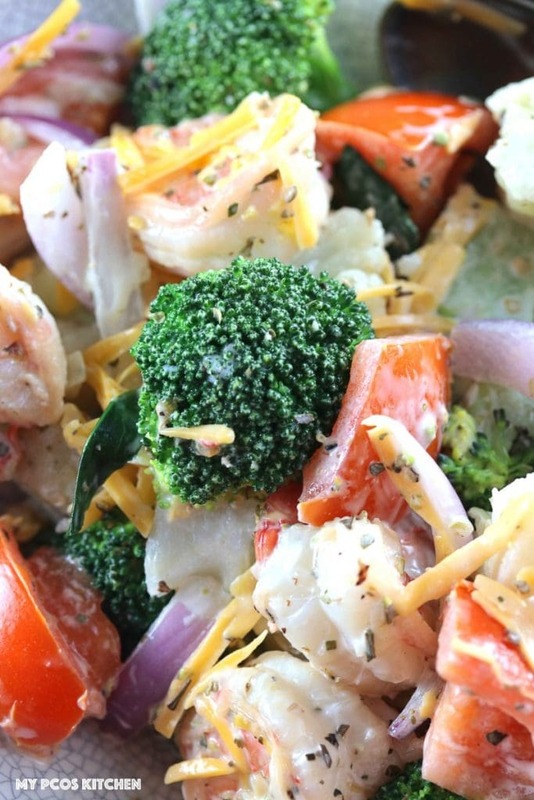 The salad doesn’t take any time at all to make and is pretty low-carb and low-calorie. I found that it was enough for 4 side servings or 2 full meal servings depending on what you feel like eating. Want to bring it up a notch and try out some new recipes? 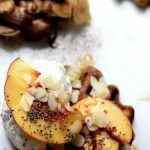 Whenever I have leftover cauliflower, I love to make these Loaded Paleo Cauliflower Nachos! Top them with any toppings and you’ll satisfy any cravings you have. If you’re in need of some comfort food, you need to try this easy Cauliflower Mac and Cheese! It’s creamy and cheesy, just like it should be. Finally, Chinese food can be a hassle as there’s always some sort of starch, flour or sugar in the recipes. Stick with this Low Carb Sweet Chili Chicken which has delicious crunchy broccoli for a night out (at home). 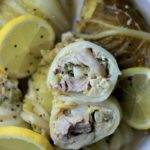 Note, I uploaded this recipe in August 2016 and re-shot this recipe in January 2018 because the pictures were horrible!! The new recipe uses white cauliflower as I couldn’t find any orange one at the supermarket. 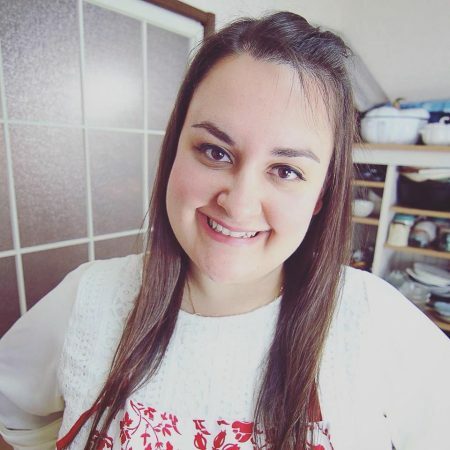 Since I re-shot the recipe, I also decided to take a video for it! 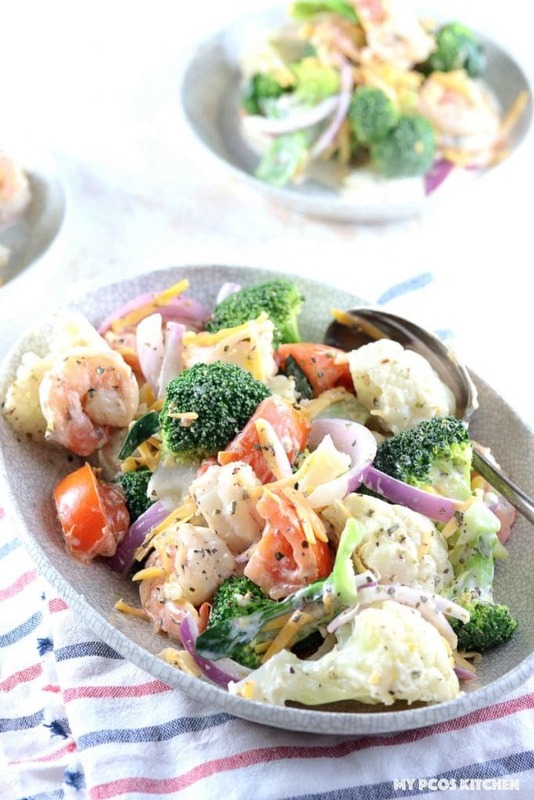 A creamy healthy low carb salad guaranteed to fill your cravings! Cut the cauliflower and broccoli into florets. Peel and dice the red onion. Slice the tomato. Grate the cheddar cheese. Mince the garlic cloves. Put some water to boil in a pot. Add the florets and boil on medium-heat until tender (about 4-5 minutes). Drain and let completely cool. Add the olive oil to a frying pan and add the garlic. Cook for a minute and then add the shrimp. Sautee until completely cooked. Put aside and let cool.
. Mix in the mayonnaise and enjoy! What is considered 1 serving? Hi Matthew, in the recipe card besides servings, I put 4 so the nutritional info is for 1 serving. 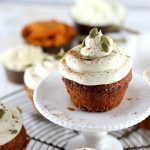 Looks yummy and looks like we can eat it on our Keto diet. Question: Where does all the sugar come from? Is there really that much in this recipe? The sugar is coming from the veggies, especially the red onions and tomato! That’s what I was thinking – we’re making and eating it anyway!! I make a broccoli salad a lot, but never thought of adding cauliflower into the mix or a different type of protein than bacon. This looks so yummy. I wasn’t able to get the video to play for me, just as an FYI. Hi! Bacon, shrimp or even chicken breasts would taste amazing! I checked the video and it works on my end. Maybe click on it a couple of times?